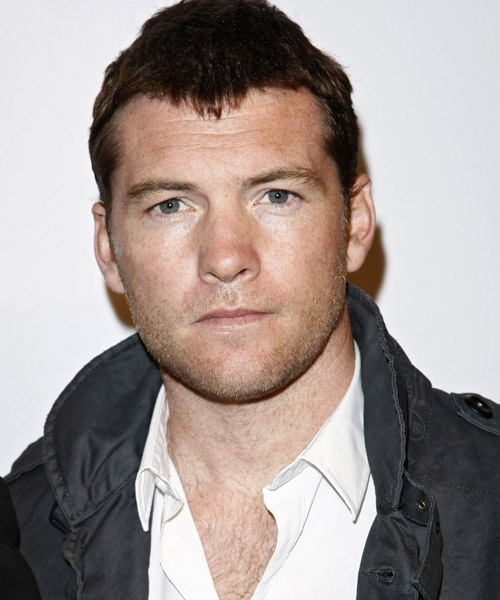 Sam Worthington says the training regime for 'Clash of the Titans 2' has left him feeling like a "tank". The actor has been working with Rodney Johnson - the trainer who got Christian Bale into shape for 'Batman Begins' - to get into the best possible physical condition to reprise his role as Perseus in next year's blockbuster. Sam - who has been in Wales shooting the sequel - has now revealed exactly how Rodney helped him bulk up for the part. He said: "Before 'Clash of the Titans,' I was doing five or six hours of training a day. I'd get up, train for two hours, eat, then have a short sleep. Then I'd get up, train again with heavy weights, eat and sleep again. By the time I finished I was a tank." The 34-year-old star's intense schedule allows him to pile on muscle, burn body fat and build definition and he says he often feels more like a "boxer" than an actor. He said: "You're living like a boxer. The training is fast and furious, that means the results come pretty darn quickly. Rodney got Christian from the size he was in 'The Machinist' - where he couldn't even do one press-up - to the size he was in 'Batman Begins', in less than four months." Although Sam has appeared in a number of action films in the last three years, including 'Terminator Salvation', 'Avatar' and 'The Debt', which have required him to embark on grueling exercise regimes, he admits he doesn't really enjoy hitting the gym. He said: "I don't get a kick out of it, and I don' enjoy it. But I do see the results." The full interview with Sam Worthington is available in the September issue of Men's Health magazine from Monday August 1.